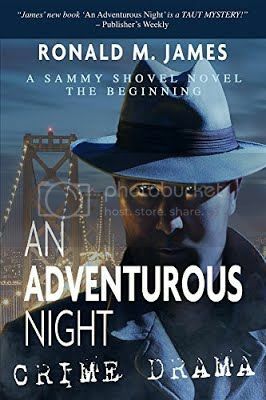 Sammy finds himself speeding through streets of San Francisco to head off another senseless murder. The events that follow are beyond his comprehension, and will change his perception of crime forever. The victim may not be as evil as it seems, but rather—a casualty of circumstances. Ronald M. James was born during the great depression, and as a toddler watched WPA men build a new street, from his home’s big front window. His playmates were a red rider wagon, a small black satchel and rocks. By using his imagination he had conversations with mythical street workers that bloomed into fashioned fantasies by age four. He used cardboard boxes to create fun spaces for his neighborhood playmates to enjoy and he kept telling stories all through high school. In college he abandoned writing and studied architecture. 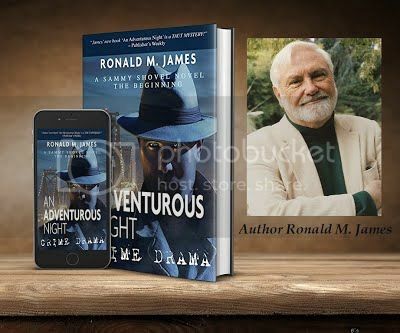 James had a successful architectural career and retired, however he wanted to keep his creative juices fluent, so he returned to his childhood story telling days and joined a writers group. Like architecture, each day he couldn’t wait to create, finish, and start new stories—like this one, An Adventurous Night.